Members may access publications, officer forms and guidelines, and various documentation, including webinar recordings. 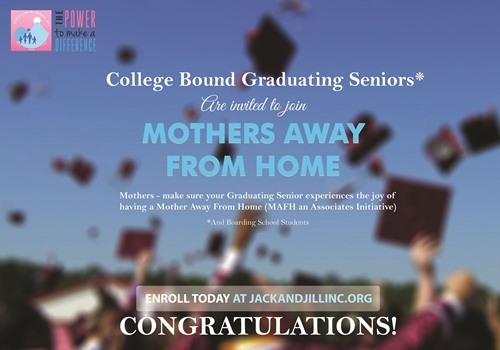 Mothers, make sure your graduating senior experiences the joy of having a Mother Away From Home! Click to download the application. As a complement to the programming delivered at the chapter level, the National Programmatic Thrust focuses on initiatives that will equip our members and youth with the power to make a difference in our chapters, communities and in the lives of children around the country. Access to Up the Hill, SCOPE, webinar presentations and governance documents. Access to membership forms, Five Star documentation and chapter financial guides.